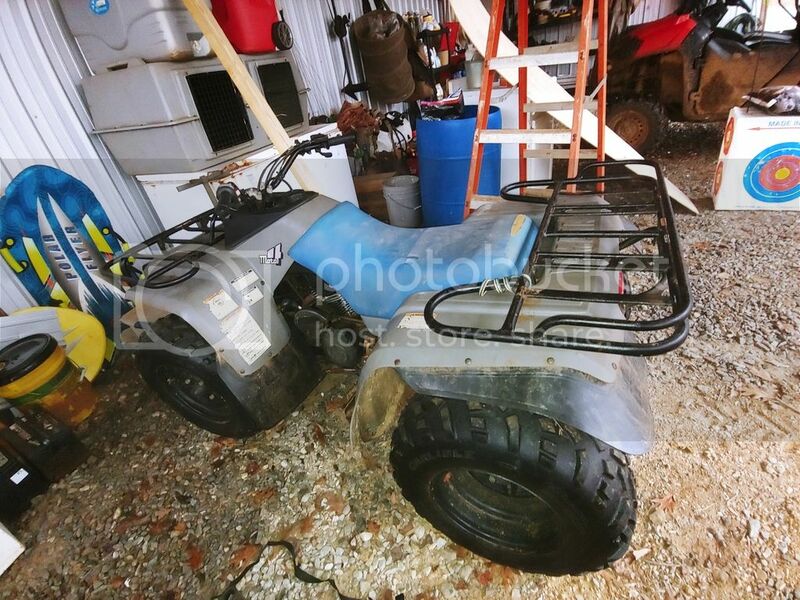 1994 or 95 EZ-GO 36 volt electric hunting cart, brand NEW batteries, new charger, LED lights front and rear, 2, 12 volt acc outlets, new light switch. just mounted the steel utility bed and sprayed the top with bedliner spray., $1650 or trade for a atv. I also replaced the wood in the seat. 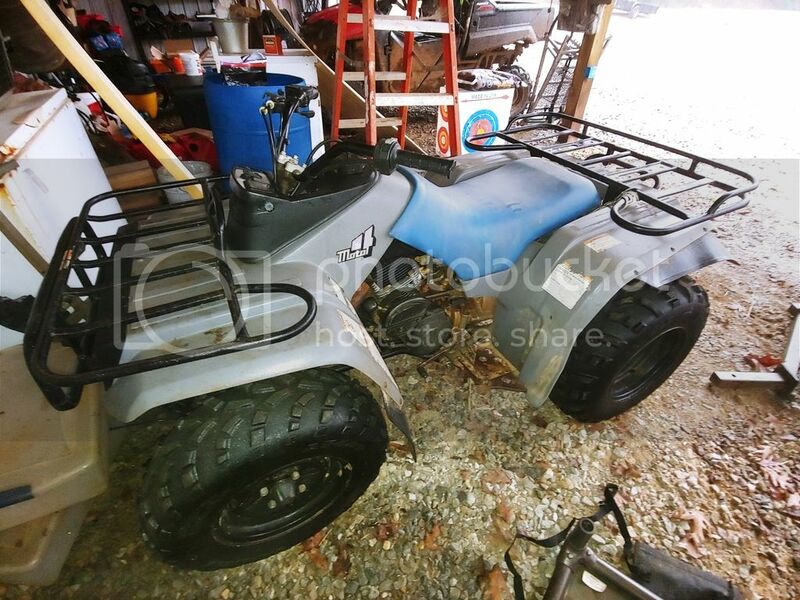 Ive got a Suzuki Moto4 in real good shape that runs good I\'ll trade you for. Somebody got a cart stuck on a gas line by my house. Come on down and we can pull it out and load it up. got any pics? I thought a moto 4 was a Yamaha?? Heck it is. Ill take a picture of it later. How much for that open bucket of hydraulic fluid? did you get it started? Y\'all gonna trade or not? Major deals like this take time ... Settle down. Were in negotiations. The boys gonna be working on that today.